Every time there is a home football game, Ella's school has a pep rally that Friday. The best thing about pep rally days is you get to dress up in theme! We were made for these days. 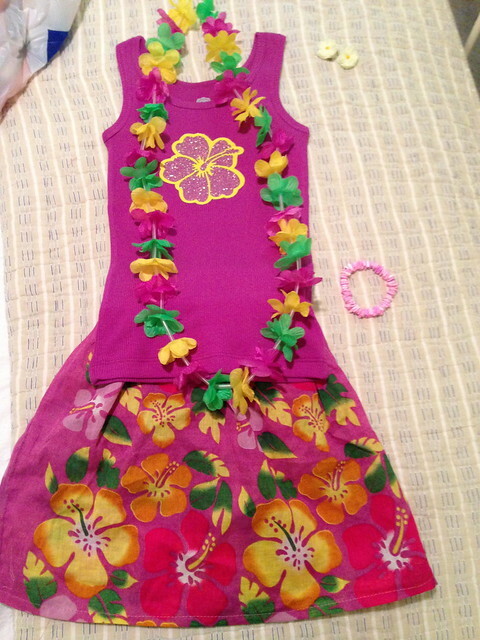 The first theme was Hawaiian. I of course jumped all over it and made Ella an outfit. I found these cute Hawaiian print bandanas at the party store. 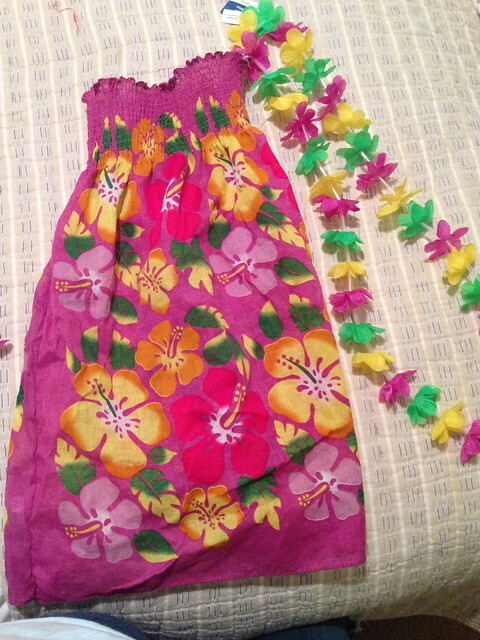 At first I had a dress in mind and just sewed the two together with elastic thread at the top. Here is a good tutorial for it. Once Ella got home from school we realized it was much too small for a dress so I turned it into a skirt. I then heat pressed a flower onto a tank top and Ella loved it! 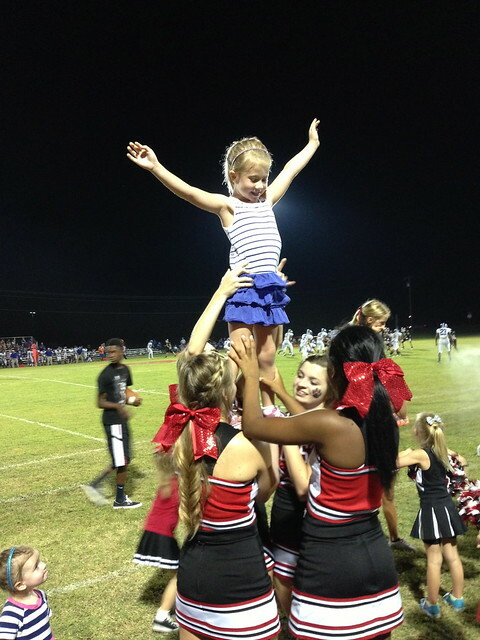 This was over a month ago (way behind on blogging once again) but the girls had the best time during the first football game! 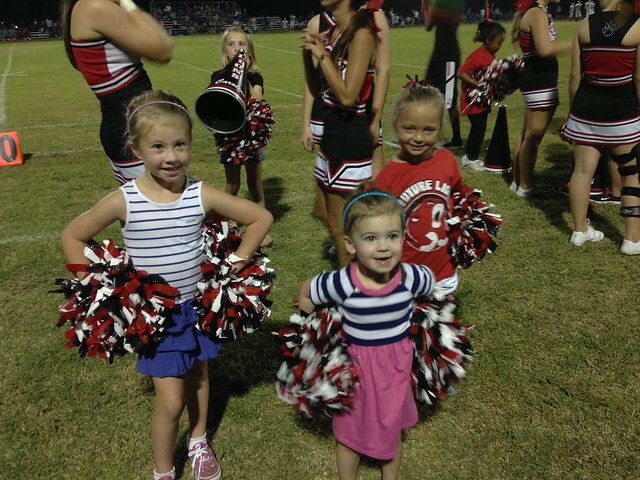 How cute are those cheerleaders?! 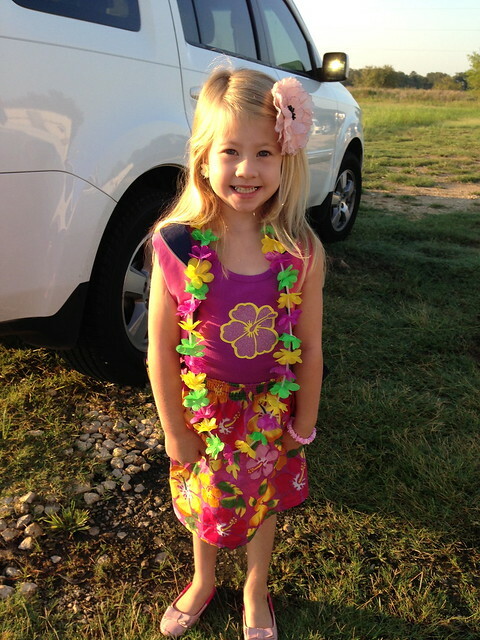 I wish I would have video taped Ella as I told her what the theme dress up day was for the second home game. She for real almost cried. It is kinda her worst nightmare. I laugh every time I say it. "Crazy Hair and Mis-matched clothes." She was not into it. I wanted her to go all out though. But I didn't want to force anything on her. But I also didn't want her to not do it just because she thinks it looks silly. Not everything needs to be pretty and perfect. This would be good for her. 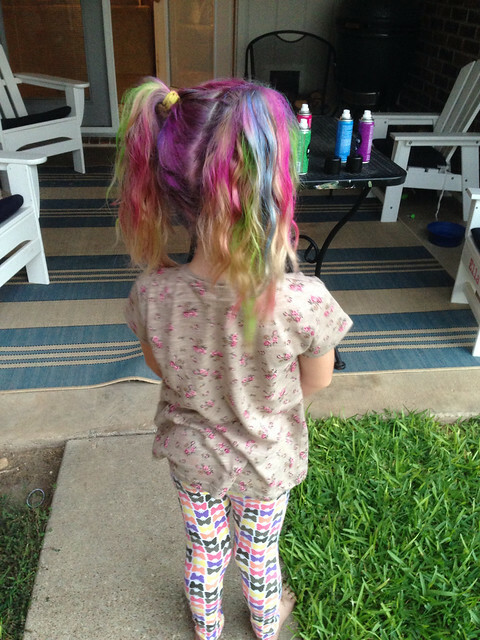 I googled some images of kids with crazy hair and I think seeing someone else helped her out. She became excited about it and jumped all in. 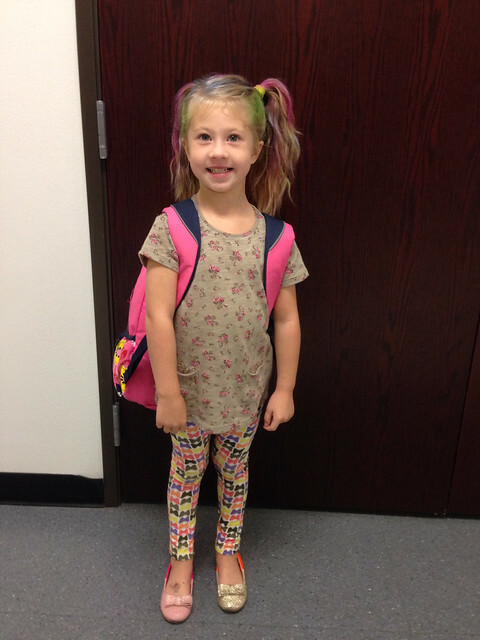 The mismatched clothes wasn't too hard for her. That girl loves a pattern on pattern. 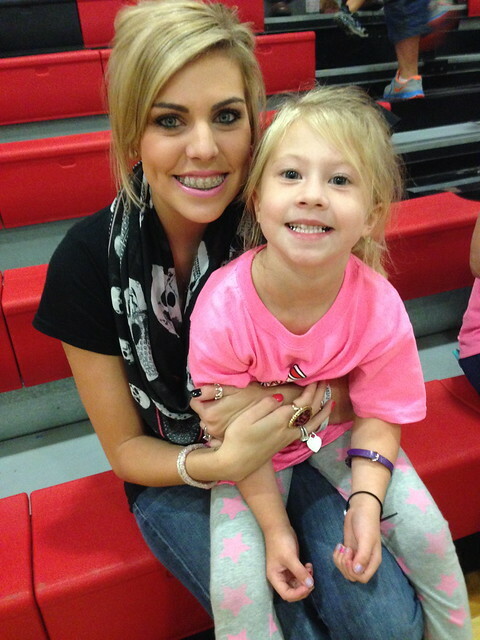 This last week was PINK OUT and we all know she didn't have any issues with that one. We are never short on pink in this house. 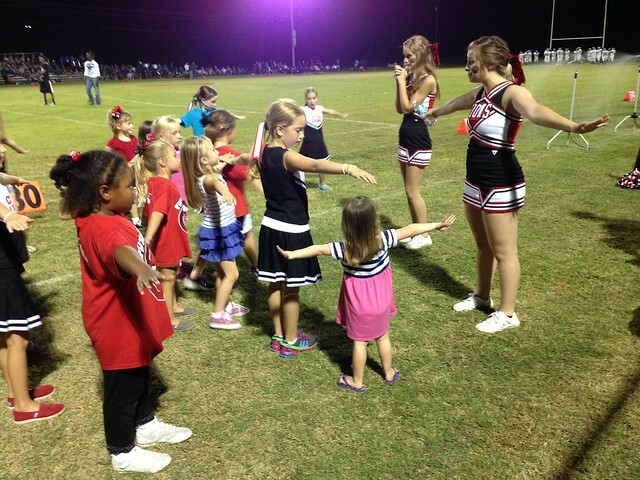 Ella did a cheer clinic at the school and they got to perform during the pep rally and game. It was pretty cute to watch. My mom and sister came too so Ella had her own little fan club. This Friday is BLACKOUT. Too bad Ella can't share Aunt Anna's wardrobe.